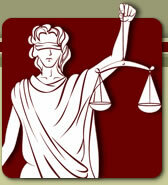 Pensacola and Gulf Coast Consumer Bankruptcy attorney Erich M. Niederlehner, is located in Pensacola, Florida. The firm also offers free phone consultations for those unable to make it to one of our locations for a Bankruptcy Asset Protection consultation. Just remember in order to receive a phone call for a Bankruptcy Asset Protection phone consultation you must complete the Bankruptcy Intake Form located at www.GotDebtUSA.com. 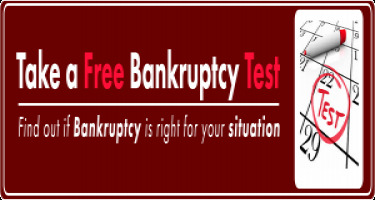 Use the FREE Bankruptcy Means Test Calculator to see if you will have to file a Chapter 7 Bankruptcy or Chapter 13 Bankruptcy. Everyone can file for Bankruptcy it is just a matter of which Chapter of Bankruptcy you are able to file. See if your median income is below the median income for your family size or if you pass the Bankruptcy Means Test, and can file a Chapter 7 Bankruptcy. If you do not pass the Bankruptcy Means Test you will have to file a Chapter 13 Bankruptcy, which is like debt consolidation but this 5 year repayment plan has the force of law behind it. Gulf Coast Consumer Bankruptcy lawyer Erich M. Niederlehner, understands that in these difficult financial times, you cannot afford thousands of dollars in bankruptcy legal fees. For this reason attorney Erich M. Niederlehner offers Bankruptcy at fair, reasonable and affordable prices. We keep our overhead low and pass the savings on to you, the client. Furthermore, bankruptcy attorney Erich M. Niederlehner, knows that some clients researching bankruptcy are not comfortable or are uneasy discussing their finanical problems with strangers. That is why Erich M. Niederlehner, tries to offer as much information about bankruptcy, credit, debt, filing for bankruptcy as possible on the firm's website. Erich M. Niederlehner has even written the Book on Bankruptcy in his new informative ebook which is free to download on this website. 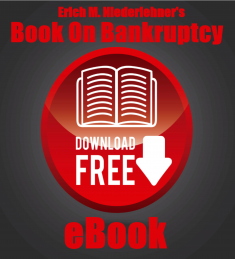 Erich M. Niederlehner's Book on Bankruptcy, can be downloaded for free by clicking here. We are very confident that no other local bankruptcy attorney has this much information regarding filing for bankruptcy available on the internet. Please keep in mind that bankruptcy attorney Erich M. Niederlehner, offers a Bankruptcy Asset Protection Consultation (a $300.00 value) FREE to new clients, and see how talking to Erich M. Niederlehner can save you thousands of dollars when filing for bankruptcy. If you decide to retain the firm, during your Bankruptcy Asset Protection Consultation we offer a 90 day payment plan. After your low initial retainer payment, the payment options are up to you. The firm strives to provide friendly and competent legal advice to help you and your family through this difficult financial period. Call 1-888-I'M-BROKE to schedule a Bankruptcy Asset Protection Consultation. Please be sure to complete the Bankruptcy Intake Form prior to your Bankruptcy Asset Protection Consultation. So you may be asking, how can the Erich M. Niederlehner, offer the same services that other firms charge over twice as much? Well it’s about experience, technology, low overhead and the satisfaction of providing people a fresh financial start. Experience: Erich M. Niederlehner, bankruptcy lawyer, has represented thousands of clients over the years. With the many cases he has filed over the years they have given the knowledge and experience to streamline the bankruptcy process and make the process as painless and quick as possible. Technology: With advances in bankruptcy software, the internet and the Bankruptcy Court’s electronic filing system, preparing a bankruptcy case has become less time consuming and costly than it was years ago. What used to take days and require a ton of paper, now takes hours and is all electronically filed. Chapter 7 Bankruptcy is a liquidation process. Bankruptcy law (Federal law, Florida law or Alabama law) allows you to keep certain exempt property, which will not be sold or distributed to creditors. Non-exempt property is available to your creditors. Erich M. Niederlehner, can assist you in determining what is exempt and what is not and defend your position. Chapter 13 Bankruptcy is a reorganization chapter under court supervision. Chapter 13 is appropriate for you if you want to avoid or stop repossession of your car or foreclosure of your house because of missed monthly payments or non-payment of property taxes. Erich M. Niederlehner, can assist you in obtaining the protection afforded by Chapter 13.